Denali National Park Hotel Lodging, Alaska. Wake to the sound of the rushing Susitna river in a luxurious lodging or cabin setting. 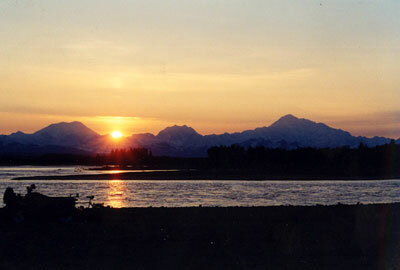 Talkeetna is the closest town with a Denali National Park hotel, lodging, cabins and Ranger Station. Each hikers, camper or climber must stop and check-in with the Rangers before each climb. Everyone who stays, enjoys the beauty of the Alaska Range from the spacious Susitna River cabin or lodge suite. Covered porches allow one to enjoy the long summer days. You can cook your catch of the day at the barbecue and picnic area. The deluxe accommodations may feel remote, but isn't that what you are looking for? The Denali National Park is within view of the Susitna river, and you will be within easy walking distance of downtown Talkeetna. There are many Alaska weddings held in full view of Mount McKinley, or Denali National Park. Your hotel lodging and cabins are brand new, two story, cedar sided and include the thoughtful Wedding extras to ensure your comfort and enjoyment. Each lodge suite and cabin is equipped with complete shower and bathroom facilities, one king bed downstairs and twin beds upstairs. a couch, a refrigerator, microwave and coffee maker. Separate sitting and dining areas offer plenty of room to kick your feet up, relax and enjoy the breathtaking view. Within view of Mt. Mckinley and Denali National Park, 8 hotel lodging suites, cabins and a bed capacity of 40, there is plenty of room! Fishing, Sightseeing, Hiking, Flightseeing, Rafting, River Tours, Skiing, Snowshoeing, Dog sledding, Snowmobiling, Snomachining, and many other Wilderness adventures. For Denali National Park Hotel Lodging & Cabin rates, available dates and additional information be sure to send us an email and we will get the reservation details to you within 48 hours. 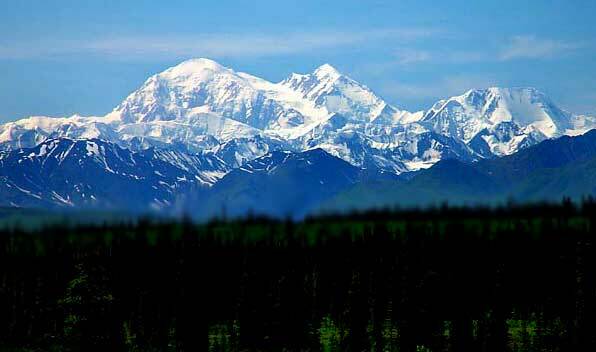 Find lodging, hotel or cabin reservations near Denali National Park, Alaska. maybe thousands, on your next trip or vacation to Alaska's Denali National Park.